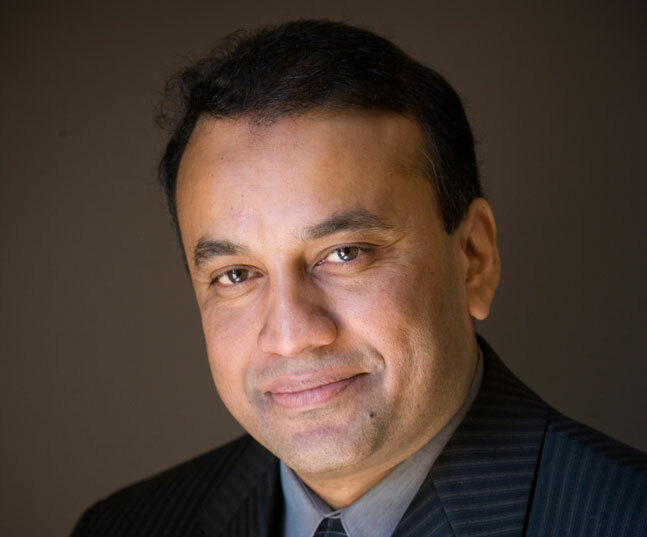 Dr. Khan is an accomplished radiologist, researcher, teacher and entrepreneur. He has built advanced medical diagnostic centers nationally focused on accurate diagnoses of musculoskeletal injuries utilizing the Upright, Kinetic MRI. He also brings extensive experience in the medico-legal aspect of industrial injuries as well as Sports Medicine Imaging. Chairman and Founder. Professional medical group that is focused on the medical-legal radiology market. Specifically, the group has developed and utilizes proprietary software to provide primary and secondary MRI. The group also provides imaging based disability ratings required by the AMA Guides to the Evaluation of Permanent Impairment. Chairman and Founder. Professional radiology group specializing in advanced interpretation of imaging studies performed using the Fonar Upright Multi-Positional MRI. Chairman and Founder. A network of free-standing and mobile imaging and neurodiagnostic centers specializing in industrial injury. Chief Executive Officer and founder. A leading medical diagnostic company in California specializing in ultrasound, echocardiogram, neurodiagnostics and osteoporosis evaluations. Ernst & Young Entrepreneur of the Year, 2008 Finalist in California Orange County/Dessert Cities and Arizona. U.S. Congressional Medal of Distinction, 2008 for Advancement of Medical Science (Radiology). City of Houston “Honorary Citizen” award, 2005 from Hon. Bill White, Mayor of Houston for financial and academic contributions to the city. Khan, S.U., C.E. Ribak. GABAergic neurons in the hippocampus of the epileptic gerbil. Journal of Biological Sciences, 17:362-373, 1985. Khan, S.U., C.E. Ribak. The effects of lesions of the hippocampal fiber connections on seizure activity. Journal of Biological Sciences, 18:354-361, 1986. Ribak, C.E. and S.U. Khan. The effects of knife cuts of hippocampal pathways on epileptic activity in the seizure-sensitive gerbil. Brain Research, 418:146-151, 1987. Hovda, D., R. Sutton, S.U. Khan, and R. Fisher. Commisural cortico-cortical projections originate from pyramidal and non-pyramidal cells in the sensorimotor neocortex of the cats. Anat Rec, 220:46A, 1988. Wilson, C.L., M. Isokawa-Akesson, R.C. Frysinger, S.U. Khan, T.L. Babb. Neurophysiological measures of human limbic system connections. Neurosci Abstr, 14:922, 1988. Wilson, C.L., S.U. Khan, M. Isokawa-Akesson, T.L. Babb and M.F. Levesque. Excitability of epileptogenic vs. non-epileptogenic mesial temporal lobe during stimulation of perforant path in patients with complex-partial epilepsy. Epilepsia, 30:645, 1989. Khan, S.U., C.L. Wilson, M. Isokawa-Akesson, T.L. Babb and M.F. Levesque. Increased paired-pulse suppression in the human temporal lobe. Neurosci Abstr, 15:236, 1989. Wilson, C.L., S.U. Khan, M. Isokawa-Akesson, T.L. Babb and M.F. Levesque. Excitability of specific hippocampal formation pathways in epileptogenic human temporal lobe. Neurosci Abstr, 15:236, 1989. Khan, S.U., C.L. Wilson, J. Engel Jr. and M.F. Levesque. Contrasting changes in EPSP slope of associational and perforant pathways in epileptic patients. Epilepsia, 31:651, 1990. Wilson, C.L., S.U. Khan, H.C. Hu and M.F. Levesque. Stimulation evoked population spikes in the human epileptogenic hippocampal formation show enhanced inhibition. Neurosci Abstr, 17:1255, 1991. Khan, S.U., C.L. Wilson, G.J. Kricorian, and M.F. Levesque. Enhanced paired-pulse inhibition in the human epileptogenic amygdala and hippocampal pathways. Neurosci Abstr, 17:1254, 1991. Spillers, S.H., C.L. Wilson, S.U. Khan, and M.F. Levesque. Decreased responsiveness of limbic pathways in the epileptogenic mesial temporal lobe. Neurology, 41:232, 1991. Wilson, C.L., T.A. Carpenter, S.U. Khan, M.F. Levesque, and J. Engel Jr. Differences in excitability of epileptogenic vs. nonepileptogenic limbic structures during single pulse electrical stimulation of temporal lobe in complex partial epilepsy patients. Epilepsia, 32:54, 1991. Khan, S.U., C.L. Wilson, and E.J. Behnke. Increased excitability in the epileptogenic human temporal lobe: A current strength analysis. Neurosci Abstr, 18:160, 1992. Wilson, C.L., S.U. Khan, B. Colder, G. Branch, E. Behnke, and M.F. Levesque. Evoked potential analysis of interhemispheric connections mediating limbic seizure propagation. Epilepsia, 33 (S3):59, 1992. Khan, S.U., C.L. Wilson, G.J. Kricorian, E.J. Behnke, J. Engel Jr. The threshold for electrical activation is lowered inthe epileptogenic human amygdala. Epilepsia, 1993. Cutrone J., Georgiou, D., S.U. Khan, A.J. Pollack, S. French, M.M. Laks, and B.H. Brundage. A new approach for the quantitation of right ventricular mass by fast computed tomography: Validation in human heart specimens. American Journal of Cardiology 42 (1):100A, 1994. Cutrone, J.A., D. Georgiou, S.U. Khan, H. Fischer, R. Belardinelli, M.M. Laks, and B.H. Brundage. Quantitation of right ventricular mass by ultrafast CT and MR Imaging: Preliminary results with comparisson to autopsy data. American Journal of Radiology 162 (suppl. ):175, 1994. Velasco A.L., C. L. Wilson, B.W. Colder, E.J. Behnke, M.H. Shomer, S.U. Khan and J. Engel, Jr. Synchrony in interictal EEG spiking and unit activity in patients with complex partial seizures. Epilepsia, 35 (S8):129, 1994. Velasco A.L., C.L. Wilson, B.W. Colder, M.H. Shomer, E.J. Behnke, S.U. Khan and J. Engel, Jr. Relationship between interictal EEG spike and neuronal synchrony and functional limbic pathways. Neuroscience Abstr. 20:1449, 1994. Wilson, C.L., S.U. Khan, M. Isokawa, T.L. Babb, M.F. Levesque, E.J. Behnke and J. Engel Jr. Enhanced paired pulse inhibition and facilitation in human epileptogenic hippocampal formation. submitted to J. Neuroscience, 1994 (In press). Cutrone, J.A., D. Georgiou, S.U. Khan, A. Pollack, M.M. Laks, B.H. Brundage. Right ventricular mass measurement by electron beam computed tomography: Validation with autopsy data. Investigative Radiology, 30:64-68, 1995. Cutrone, J.A., D. Georgiou, S.U. Khan, H. Fischer, R. Belardinelli, M.M. Laks, B.H. Brundage. Comparison of electron beam computed tomography and MRI quantitation of right ventricular mass: Validation with autopsy weights. Submitted to Academic Radiology, 1995. Khan, S.U. (1993) Paired pulse excitability of the epileptogenic temporal lobe. (C. Wilson and J. Engel Jr., ed. ), Michigan: Bell & Howell Co.
Bhushan, V., C. Amin, T. Le (1995) First Aid for the USMLE Part I. (S.U. Khan, Associate contributor), New York: Appleton and Lange. Bhushan, V., C. Amin, T. Le (1997) Jump Start MCAT. (S.U. Khan, Contributor), Baltimore, Maryland: Williams & Wilkins.